Through decades of performing and 20 album releases, David Olney has built a reputation, not as a kind-hearted troubadour, but as a performing songwriter with a sharp literary mind that often cuts to the bone of the human condition. Constantly performing worldwide, David infuses his live performances with an intensity that converts many new listeners into die-hard fans. His intelligent compositions radiate that same intensity. Whether the subject matter is heartbreak or armed robbery, Olney's cinematic style and fearless approach to lyric writing have won him a reputation as a kind of musical outlaw. Olney's first taste of show biz success came in 1975 when he fronted the band The X-Rays. By 1978 they were one of the hottest bands on Nashville's alternative music scene, winning a slot on Austin City Limits, opening for Elvis Costello, and landing a deal with Rounder Records. Later Olney signed as a solo artist with the Rounder/Philo label, releasing six critically acclaimed albums. With maturity, Olney has decided he is not interested in playing it safe. His music takes us on a back roads tour of life, and, while totally entertaining, shows us a side that isn't always pretty. 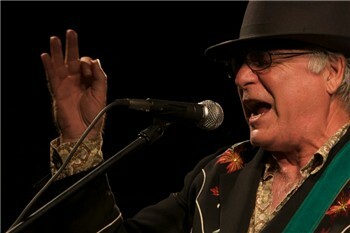 Olney's songs have been covered by numerous artists, including Emmylou Harris, Linda Ronstadt, Del McCoury and Lonnie Brooks, earning him a worldwide reputation as one of the best songwriters in America. According to late Olney friend and fan Townes Van Zandt, "Anytime anyone asks me who my favorite music writers are, I say Mozart, Lightnin' Hopkins, Bob Dylan and Dave Olney. Dave Olney is one of the best songwriters I've ever heard - and that's true. I mean that from my heart. "